When running a business, it is very important that you come up with an effective marketing strategy. Constant monitoring and updating of your strategy are a must as well moving forward. These steps are aimed at ensuring that you get the word out about your products or service to as many people. A tried and proven method is running an online contest. This applies not only to businesses that operate on the internet but as well as those that have not yet established an online presence. 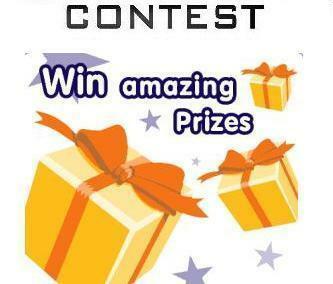 With online contests, using the social media channels is a popular choice today. As millions of people often hangout on the various platforms on a daily basis, indeed they are a marketing avenue worth tapping. Companies have also taken advantage of social media to raise awareness of their brands, attract more customers and gain profits. One type of competition that businesses can launch is an idea contest. This is strongly recommended for those that are planning to create new products or service, a tagline or change their business name and are looking for possible and catchy names to use. Sometimes researching and brainstorming with your staff may not be enough to get good results but with the millions of people utilizing social media, you can get a big help and there is a great chance that you can achieve your goal. When it comes to producing ideas, the mantra “more heads are better than one” always applies. To run an online contest, you need to have a plan that should spell out your mechanics. You may also use a third-party software application to make it easy for you to monitor the entries and control the entire contest. Apps can automate your contest thereby giving you more time to focus on the other aspects of your business. Some apps that you can use are that of wildfireapp.com, snapapp.com, votigo.com, tabsite.com, northsocial.com and fanpage.com. Giving away a prize is another important consideration. This is an effective way of gaining traffic because most often, people get attracted to taking part in a contest when they can get something from it. Do make sure, however, that your prize is something useful and valuable. You may get a sponsor for it but if you have a new and unused product or if you have created ebooks in the past, you can offer them yourself. This entry was posted in Contests, Marketing on July 7, 2012 by Teresa Te.